Try it free for 60 days, then £2.50 per child per month. You can cancel at any time. A debit card for kids that I put their pocket money on. 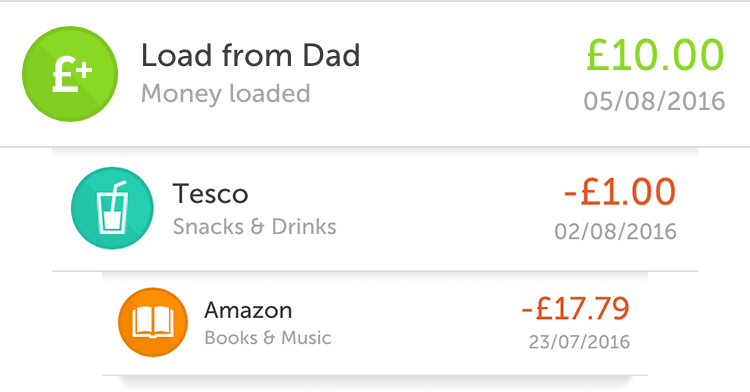 I have an app on my phone so I can lock it if they lose it, remotely put money in if they get stuck somewhere…and I can see where they are spending and how much they have left. Your child’s name embossed on their card. 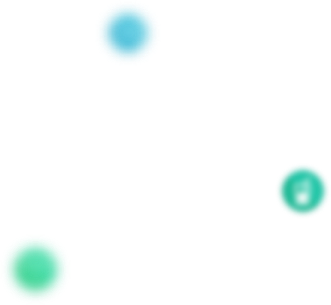 Prepaid, so you can only spend what you load. Decide if your child can shop online. 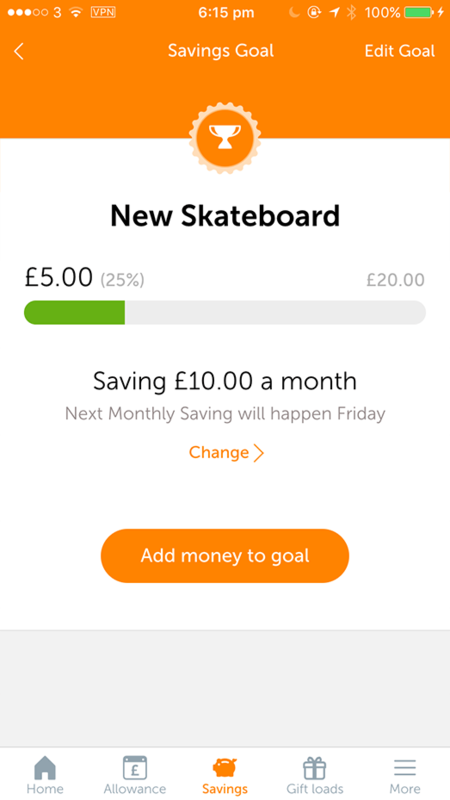 Osper helps teach children to spend and save their pocket money more wisely with their very own debit card, an app for children to track their spending & saving each month. Parents get their own app that lets them set an allowance, oversee their children’s spending, load money for emergencies (or if they’ve earned it), and lock the card if it’s been lost or stolen. You give your child an allowance to manage. Learning to manage a regular income is an important part of shaping how your child thinks about money. Setting a regular allowance encourages them to think more about budgeting, so that they can have enough money to last the next allowance. Their allowance is safely loaded from your bank account. All debit cards from major banks are supported. When you load money onto the card for the first time we will ask for your debit card details securely via the mobile app. All allowance payments, instant loads, and subscription costs will be charged to that debit card. Your child chooses how much to save, and what to save for. 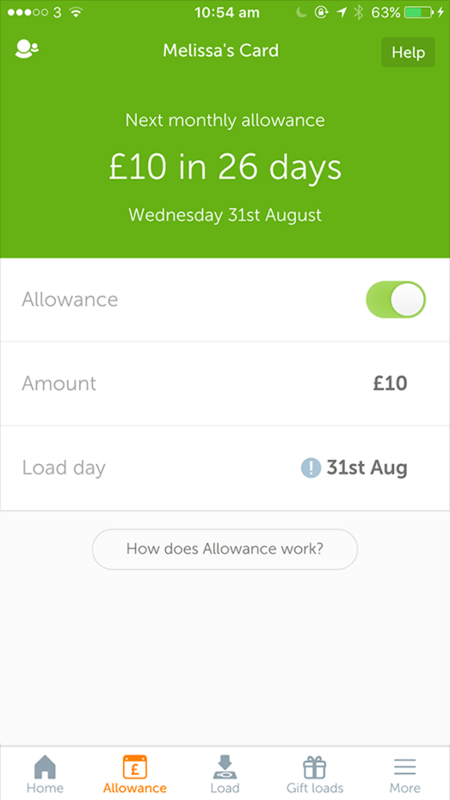 When your child logs into the Osper app, they can set up a regular monthly saving based on a percentage of their allowance. They can choose to save for a specific goal, or just save for a rainy day. Each time they buy something with Osper, they can reflect on their spending choices. Awareness is the first step to changing behaviour. 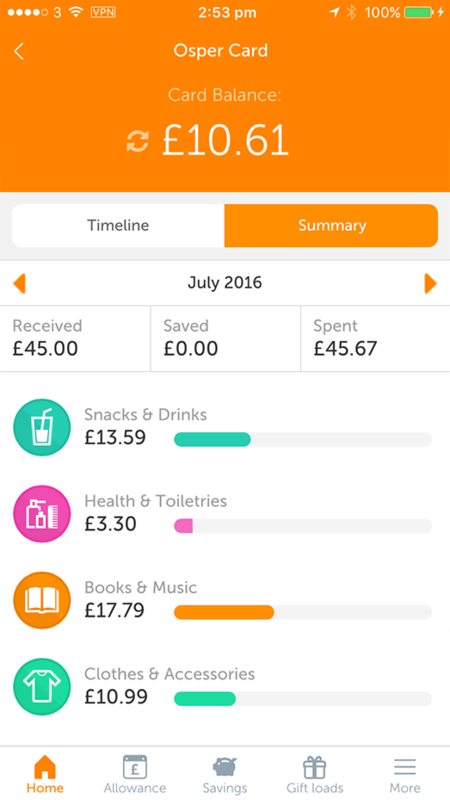 Your child should use the Osper mobile app regularly to tag their spending with categories, and think about how their spending adds up over time. 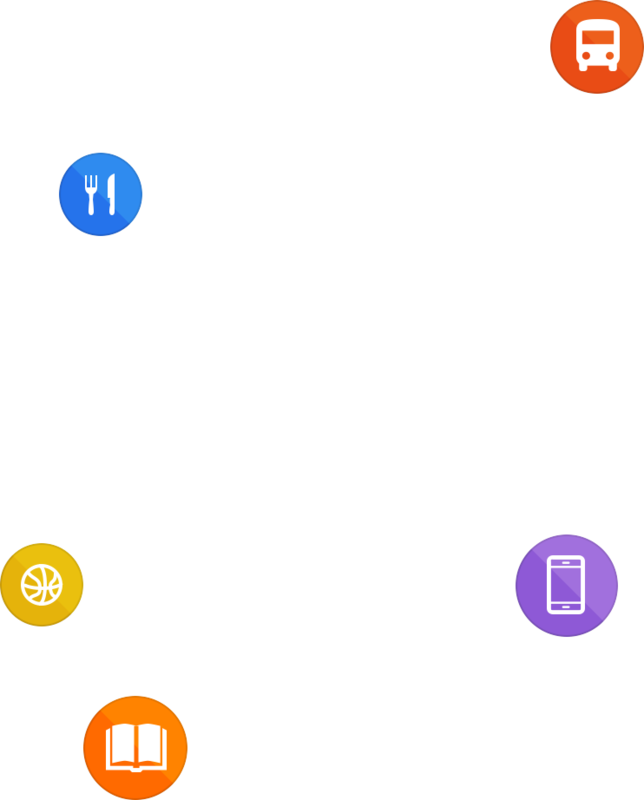 To help with this, Osper can send them a mobile notification when they spend. You can see their spending too, and help them build good habits. 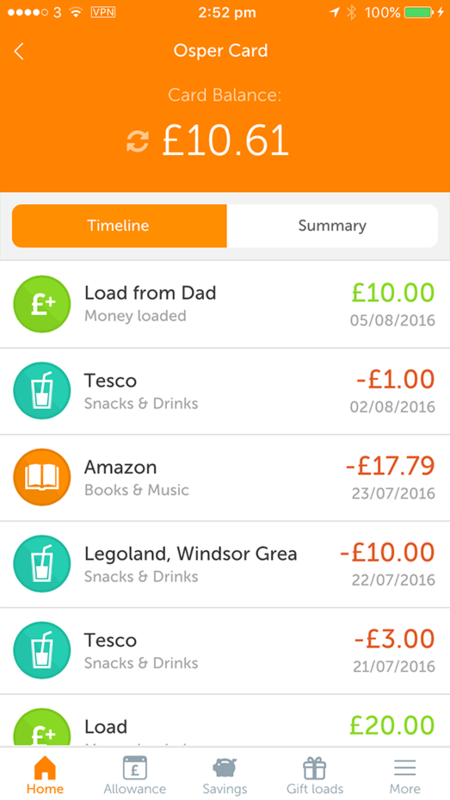 As your child tags their spends, you can see a summary of how they’re spending and compare these month to month. Use this to trigger conversations with your child each month about their habits, and how they could improve them over time. Help your children learn the value of money today. Sign up below to get a free Osper card which will arrive in 5-7 days. When it arrives, activate the card in the mobile app, and try Osper free with your family for 60 days.